As of the 1st of February 2018, all medicines containing codeine will become prescription only. 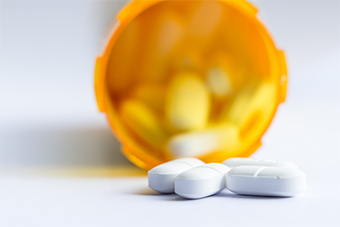 Research has shown that over-the counter low-dose (<30mg) medicines that have codeine offer small pain relief treatment when compared to medicines without codeine. Use of codeine can cause opioid tolerance dependence, poisoning and in high doses death. Regular use of codeine for pain relief has resulted in some consumers becoming opioid dependent without realising. You may see an increased number of patients asking for Codeine for pain relief in your practice. Not every patient will be codeine dependant, however it is important that GPs are able to identify codeine addiction and manage accordingly. If you are a patient, GP, practice nurse or pharmacist please click here for more information including resources, education events, factsheets, frequently asked questions, background reading and further relevant information.